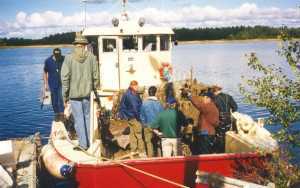 All photos Copyright 1999 Kyösti Partonen, except if stated otherwise. Some of the photos appeared originally in Ilmailu-magazine issue 10/1999 (Lokakuu). Other photos were kindly given my Kyösti Partonen for use in this web page. 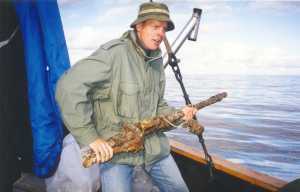 Used with permission of Kyösti Partonen and Suomen Ilmailumuseo. You are not allowed to copy or use these photos in any publication, web page or what ever, without permission from Kyösti Partonen (kyosti piste partonen of nokia dot comm). Jukka O. Kauppinen, Tampere. Home page. 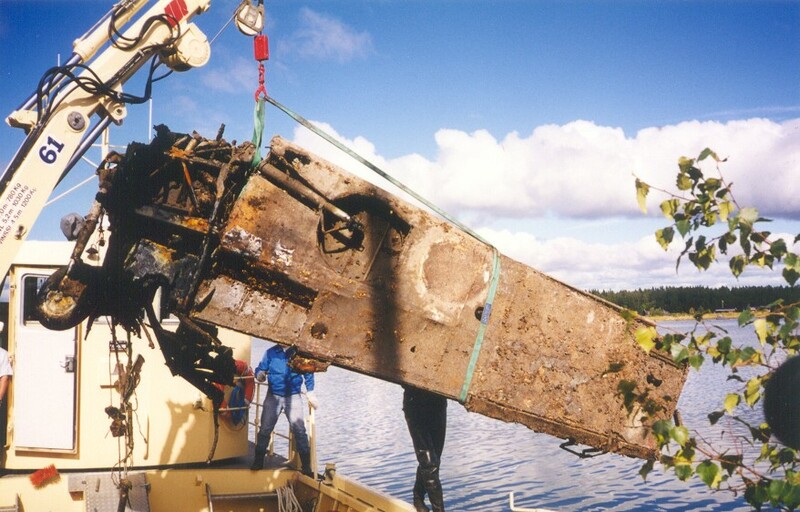 23.08.1999 Suomen Ilmailumuseo (Finnish Aviation Museum) and number of volunteer divers recovered a very rare fighter from the Gulf of Bothnia, near Luvian Niemi. 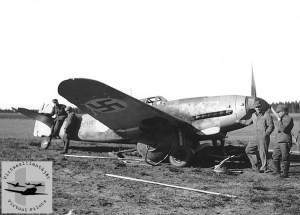 The fighter was Me 109 G-2, MT-208 Werke Nummer 14743, one of first batch of 109s supplied to Finnish Air Force by Germany. The fighter was lost 01.08.1946 when it hit aerial target drone towed by Fokker C.X (FK-113). The drone's cable was cut by a bullet and it flipped to a vertical position. Pilot was unable to evade it and the drone, large white sheet, was sucked into engine air intake, while the line coiled around the propeller. Engine stopped running after about 20 seconds so the plane had to be brought down. 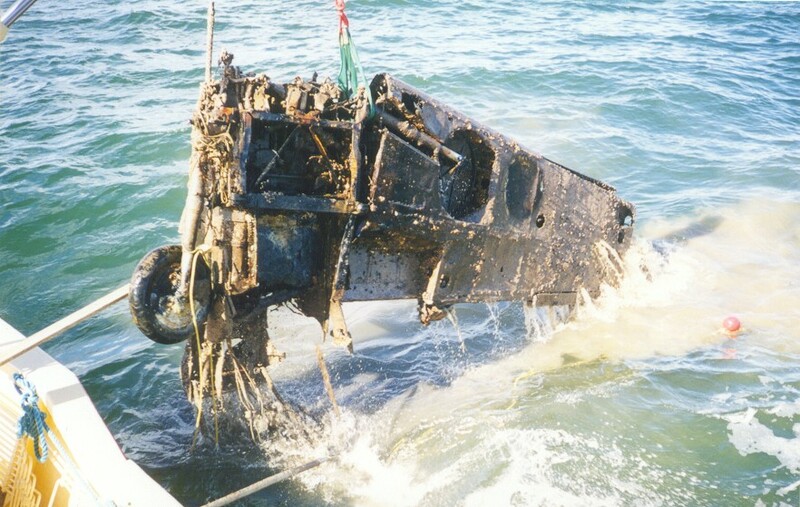 The pilot successfully ditched to sea. After failed rescue attempt the fighter spent next decades in the bottom of sea. 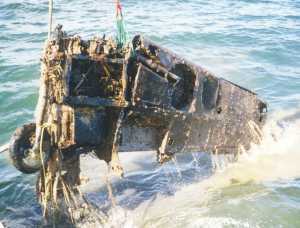 It was located 1983 but lack of funds and suitable equipment delayed the recovery for 16 years. This particular fighter is combat veteran with four victories. 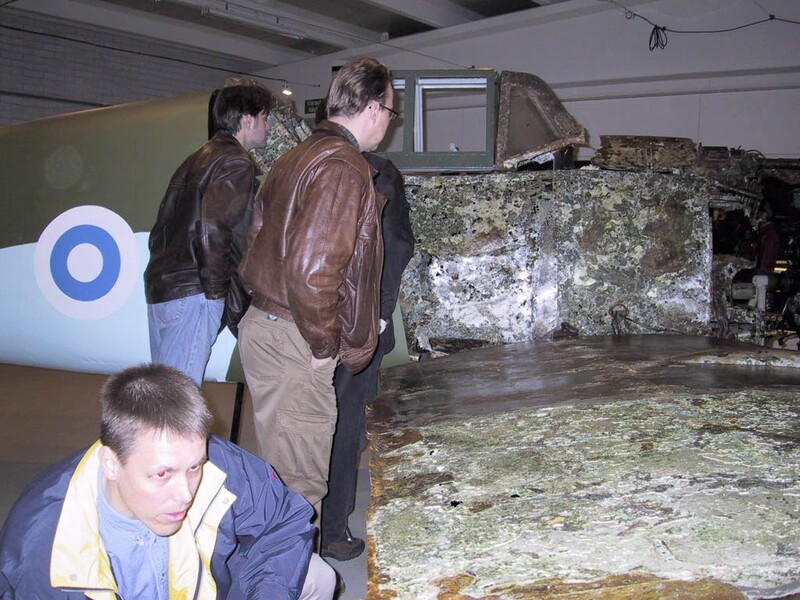 After it was received by Suomen Ilmavoimat 09.03.1943 it actually spent over a year under repairs, as it was seriously damaged in takeoff 16.04.1943, after only 12 hours flight time. 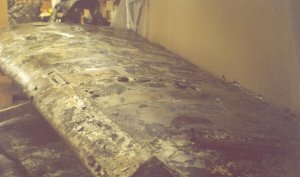 After it was finally repaired it was transferred to 2./HLeLv 24, then after about one week to 3./HLeLv 28 where 109s replaced the badly aged Morane 406 fighters. - 26.07.1944, pilot Erkki Alkio, Airacobra. 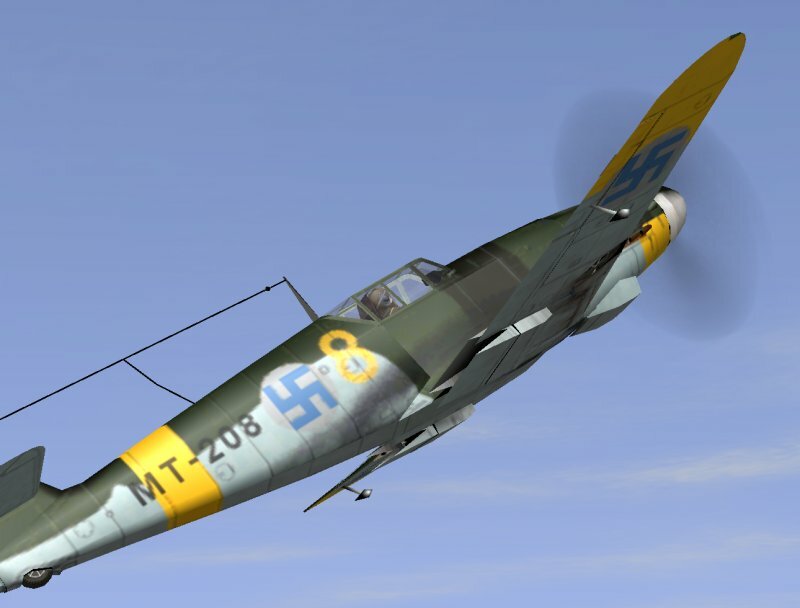 - 27.07.1944, pilot P-Piispa, Airacobra. 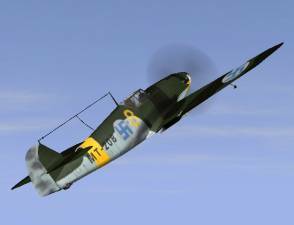 - 29.07.1944, pilot A.Heimo, two Airacobras. In its last sortie the fighter was flown by Väinö Pokela, now retired colonel of FAF. 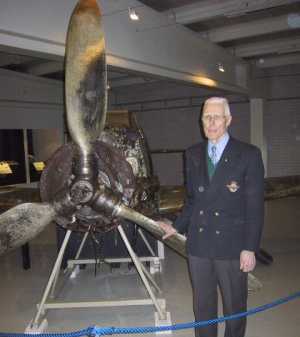 Mr. Pokela fought in the Continuation War in LeLv 24 and LeLv 34, flying Brewster and Me 109 G-2 / G-6 fighters. Mr. Pokela himself is an ace of five confirmed victories, and brought the fighter down very skillfully. The fighter was not damaged in the ditching process, which now makes it very good platform for restoration workers. 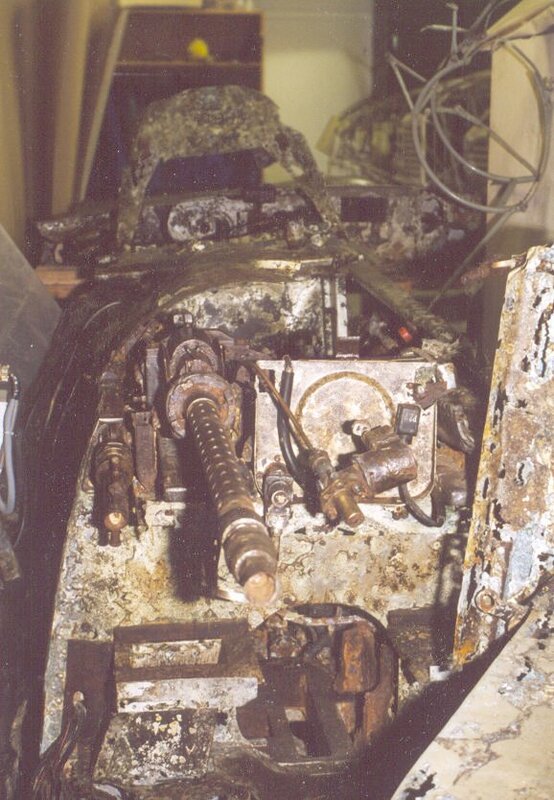 There was more damage caused during a failed rescue attempt though. The plane was already raised and was being towed behind the rescue ship, soon after the forced landing, when a small storm passed the area. The plane started to crash against the bottom of the ship, causing danger and it had to be released. You can read about it here. In the 1980's, Finnish Aviation Museum had a number of research teams, of which especially Ala-Keitele Divers - the finders of BL-180 and VP-14 - deserve a mention, as well as Matti Ojala with his friends. 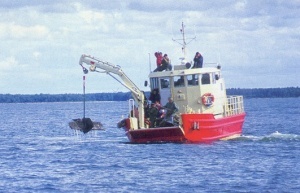 During the next decade, a special research team for underwater wrecks was organised at Finnish Aviation Museum. 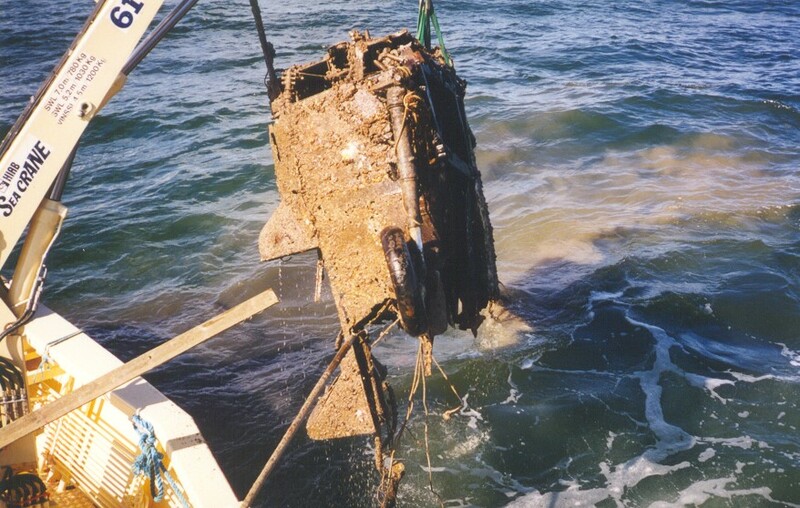 Led by Tapio Suhonen, this team solved the origin of the Ju-88 at the bottom of the sea near Hanko. Later the team and its members, e.g., Heikki Moisio, Harri Köykkälä, Matti Nurminen, Kai Kaartinen, Raimo Stanley, Hans Sachse and Pekka Simula, have studied several alleged aircraft crash sites. 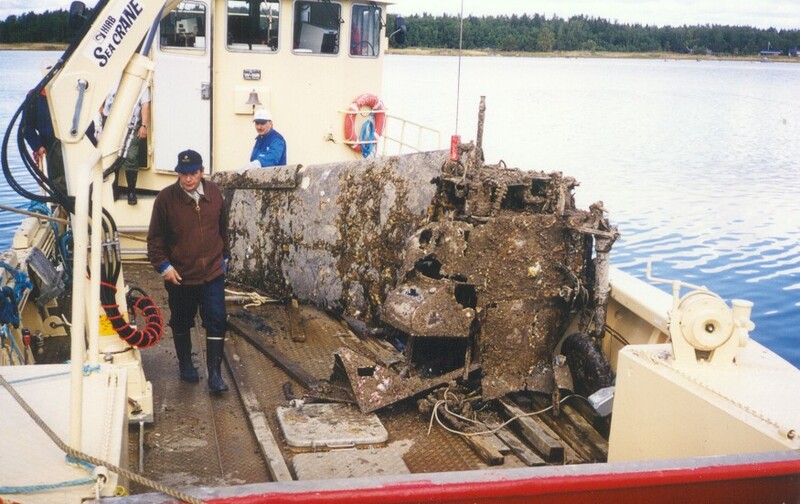 A particularly great achievement of the team was organising the salvage of the Messerschmitt 109G-2 fighter MT-208 from the sea near Säppi in 1999. 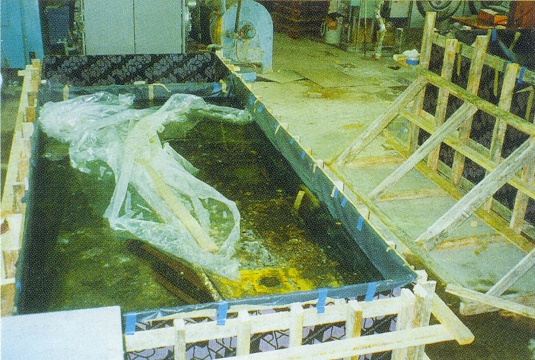 This was the culmination point of a project started in 1983 by Timo Nyman. 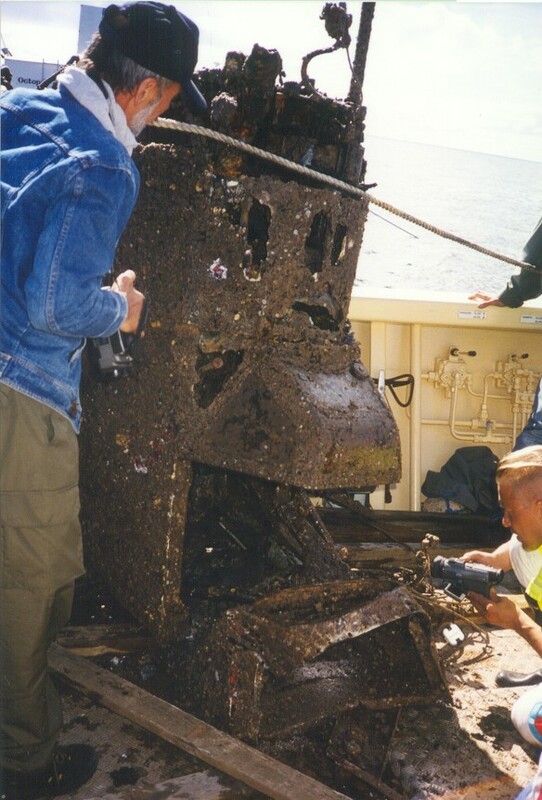 He initiated the search that was continued by scuba divers from Pori as a hobby until the turn of the decade, when the aircraft was finally found. 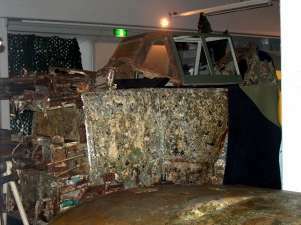 These pictures represent the original wartime camouflage of MT-208. 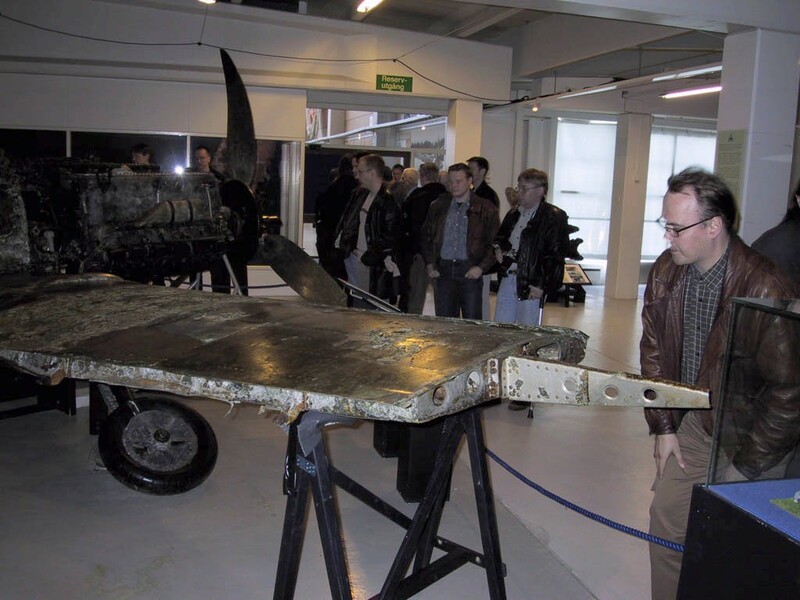 Ilmailu (Aeroplane) magazine told us that "part of the wing and fuselage surfaces are still hard, as well as the wing- and fuselage structures, which is very important. 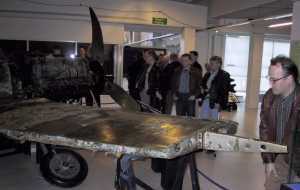 Wings, middle fuselage and tail are in the form and weapons are very well preserved. Main landing gear's wheels even are still inflated." The magazine continues. 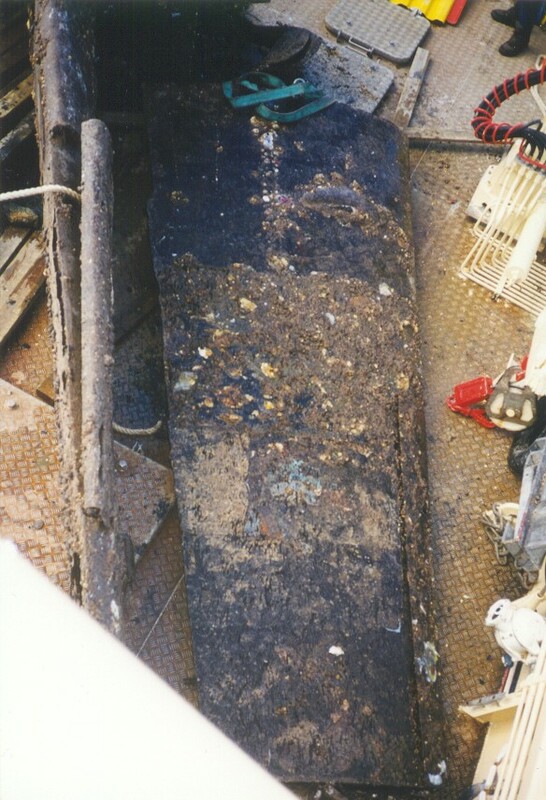 "The plane is in excellent condition, considering it has spent so long in salt water. Nothing new on regards of the plane. 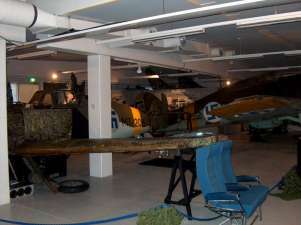 It is still nicely in the Finnish Aviation Museum but I added bunch of new photos to the bottom of the page. Cheers! And extremerely big thanks to Apali Publishing, publisher of the aviation magazine Siivet and aviation books in both Finnish and English language, for the extremerely rare photograph of MT-208, which I added to the article with their kind permission. There's some fine people in the publishing industry, you know! This is now the second known photo of MT-208 in its "first life". Very big hand to Jari Ojanperä from Siivet magazine for this! I updated the page with new information and photographs, taken either by me or by Kyösti Partonen, who kindly offered his photos from the rescue operation to be used in this web page. Thanks a lot! Currently the aircraft is on display at the museum, fully put together in the museum's special "Warplanes" display to the end of the year. 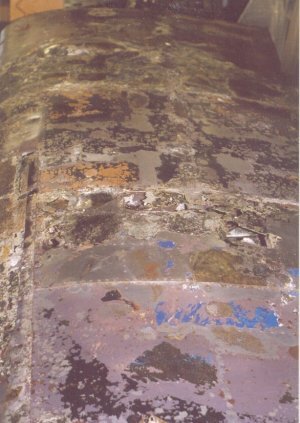 The wings are reported to be in quite good condition, but the fuselage will be a major challenge - the corrosion is worse than expected. Yet, the plane is in good condition, when compared to many other planes that have been built to museum display or even in flying condition. The museum staff is working with three other restoration projects, so the Messerchmitt will take its time for now. The article about MT-208's last flight and the pilot, Väinö Pokela, is also translated to english. You'll find it here. 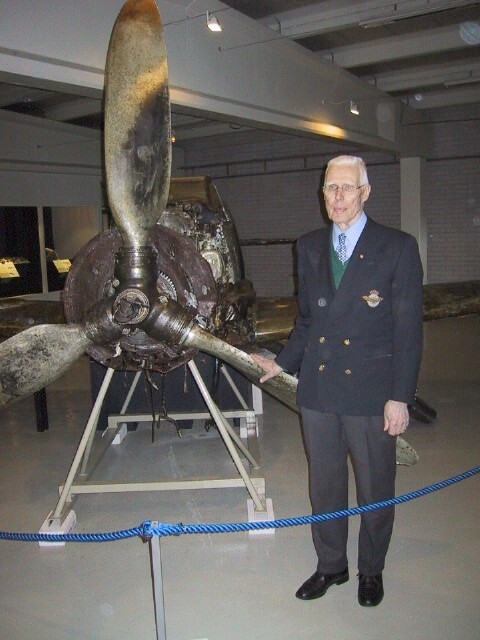 Please visit the virtual pilots' website too, as we've been busy working with the Finnish veteran warpilots and creating interviews. 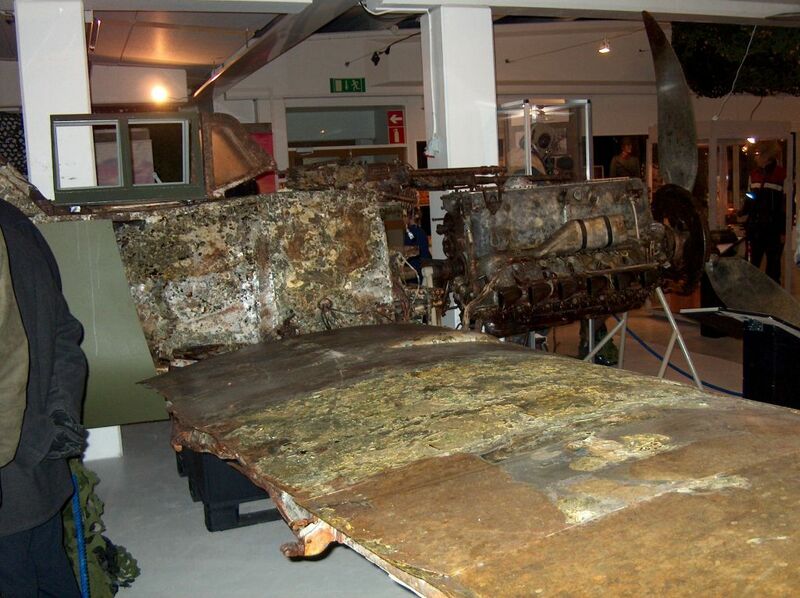 Currently more parts of the fighter are on display in the museum. They have a large display feature called "Sotakoneet" (Warplanes) that has a collection of aircraft, fighters and bombers, that museum's divers have raised from sea. I hope to get photographs of the plane and display. If anyone has some, I'd be interested receiving them. Also, VirtuaaliLentoLaivue Icebreakers / Virtuaalilentäjät r.y. 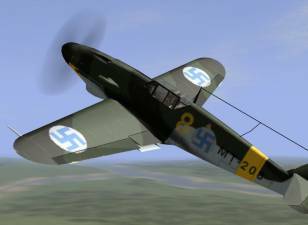 / Virtual Pilots Finland has an article about the MT-208 last flight's pilot, Väinö Pokela, online. Please visit the virtual pilot's historical website by surfing here. You'll find the article directly here - only finnish so far, though. Translation is coming. Corrected some errors and worked on some details in the text. Thank you all who have bothered to comment about them. Also today Heikki Moisio from Finnish Aviation Museum called me and filled in some details. 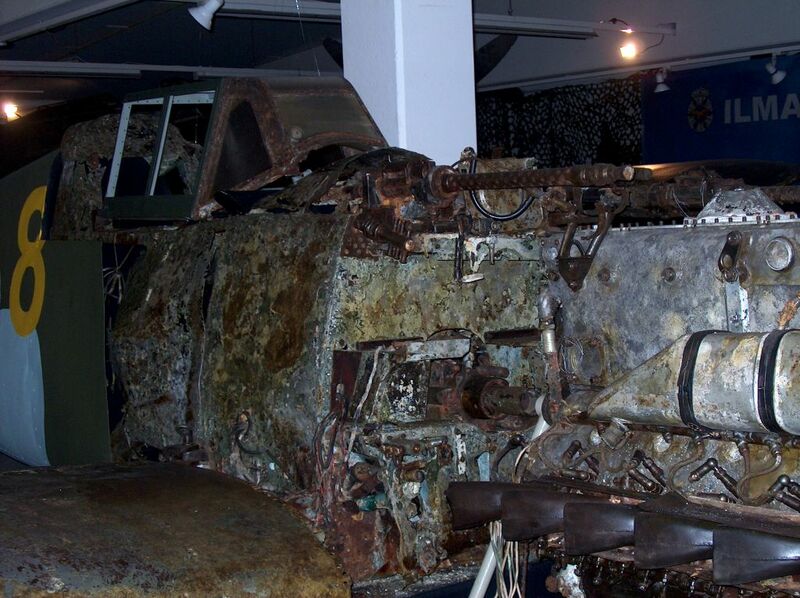 He also told that the museum staff are currently after a Soviet SB-2 bomber that was lost in march 1940. I presume it had made a (forced?) landing to a frozen lake and then sunk. The plane is known to be in certain lake but the current location is unknown. The museum staff are right now browsing through their archives, trying to find out what the rural police chief of the area at that time had found out, as he had an army diver after the bomber. I had the utmost honour of meeting the pilot, Väinö Pokela, at the Aviation Museum, as well as having a look at the plane. I took a number of photographs and hope to add them to this page as soon as possible. I and Timo Niiranen visited the museum and talked two hours with mr. Pokela, a most friendly and wonderful gentleman. Our intention is to do our little bit to help the restoration project by helping to create a computer animation of the last flight. The animation will be done by our German friend, Thorsten Peters, also known as Lemsko in the virtual aviation circles. 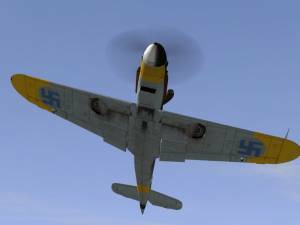 The animation is a tiny bit by the virtual aviation people, players of the online multiplayer flight simulator WarBirds (see also VirtuaaliLentoLaivue Icebreakers), to help the real aviation professionals. 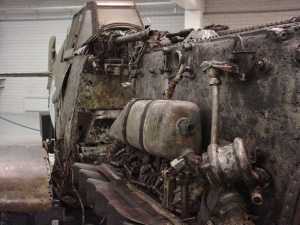 I visited The Aviation Museum at Vantaa the other day and met some of the fellows that rescued the Bf 109 G-2 (MT-208) from The Bay of Bothnia last summer. The propeller and the engine with one MG 17 (7,9mm) attached on top, one complete main gear, parts of the canopy, etc. 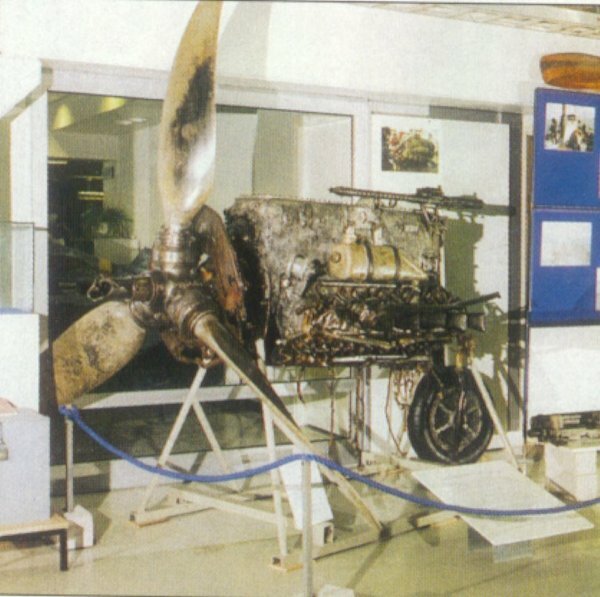 are on display in the the main hall, but the cockpit and tail parts of the fuselage are hidden in the workshop downstairs. The well preserved wings are in restoration vats somewhere near Hyvinkaa. You can imagine that I almost drooled when I was casually asked, if I wanted to see the rest of the plane !!!! 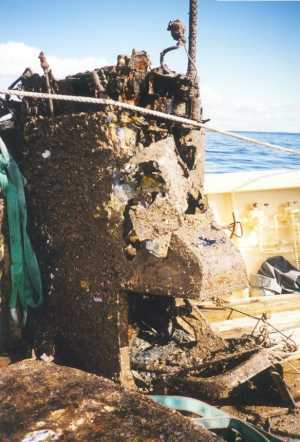 The metal around the cockpit was quite badly corroded and eaten by barnacles, but the engine controll levers and almost all the gauges c/w wiring were in good condition. 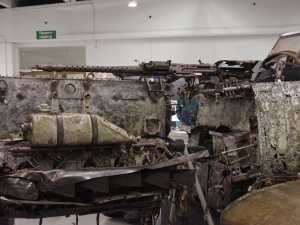 Pilot armor was removed from the plane after the war and the MG 151/20 was plugged but functional at the time of the accident. 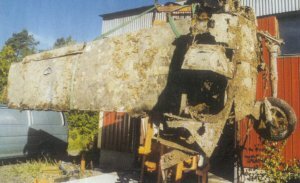 The tail section is missing elevators and rudder, but is still in quite good condition, because it was partly hidden in mud. 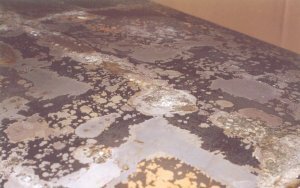 Click thumbnail to see larger picture. 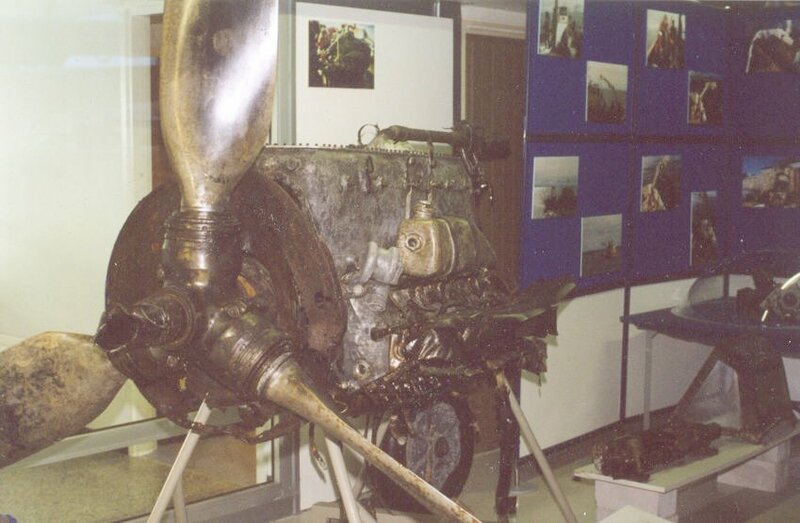 This is MT-208 during summer 1944, in HLeLv 28. This was long the only known picture of the plane. MT-208 16.4.1943 at Utti, after the landing gear gave up at landing. Piloted by sergeant Kivistö. 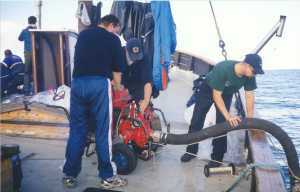 Rescue troops (Heikki Moisia in the right) wondering what this item could be. 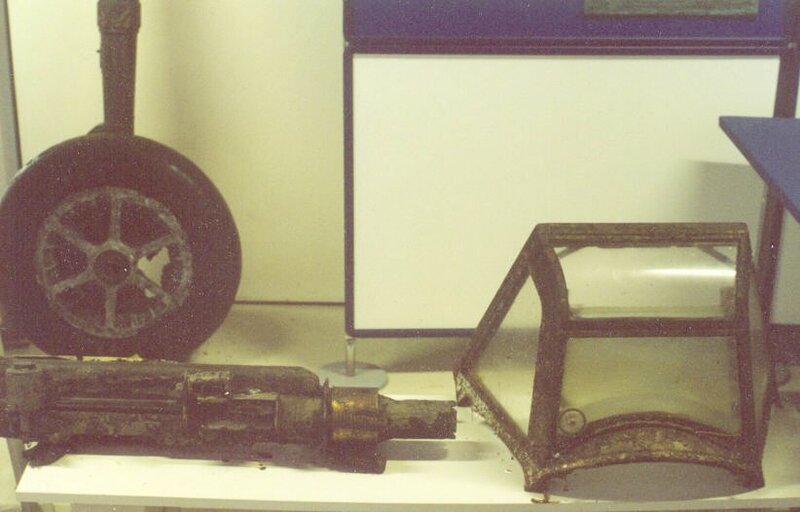 The other MG17 machine gun has been found. "Now to the bank" thinks this happy fellow. The divers used this "blower" to clean up the 109 and large parts from mud etc, before preparing them for recovery. 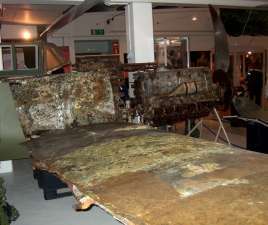 The left wing and part of middle fuselage being lifted. Notice the right landing gear which is badly twisted backwards. A large chunk of the plane coming up. The other wing. 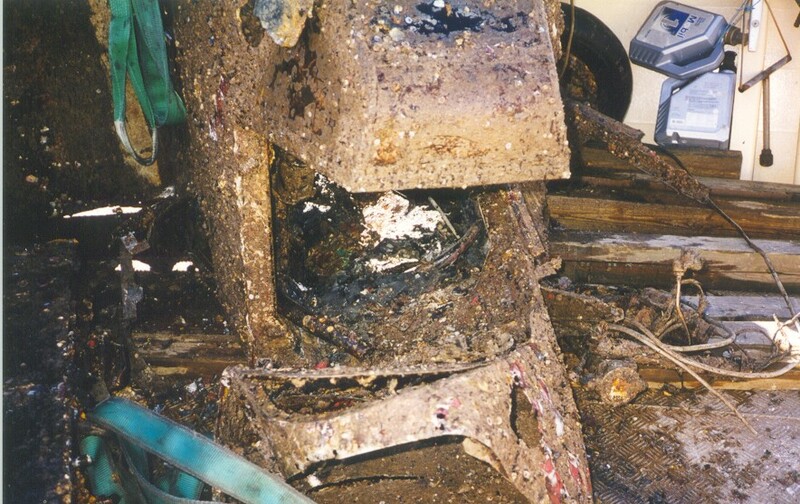 You can even see some of the blue Von Rosen cross below all the crap piled on the wing. The cockpit area safe and sound. Rescuers taking a close look into the fuselage. The left side of MT-208's cockpit. Under the left side window of windshield you can see the throttle lever. Under it is the trim wheel of stabilizer and left edge of the seat. 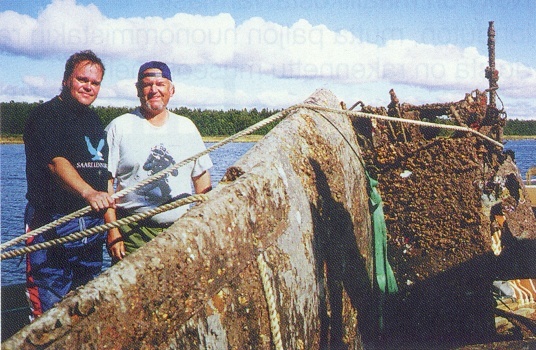 Seppo Hynönen (left) and Heikko Moisio from the underwater research group of Suomen Ilmailumuseo are smiling after the successful recovery operation. See the stick in right? 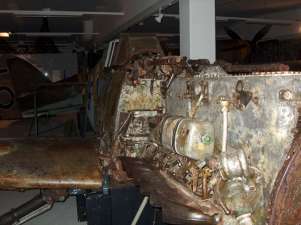 It is the MG 17 machinegun mounted on the fuselage, over the engine. 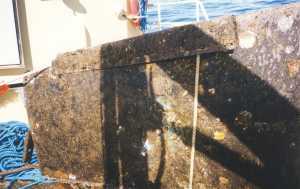 The tail of the Messerchmitt lifted to the deck of Merenkulkulaitos' ship. 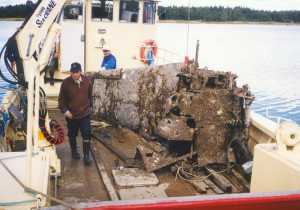 Middle fuselage and left wing on ship deck. 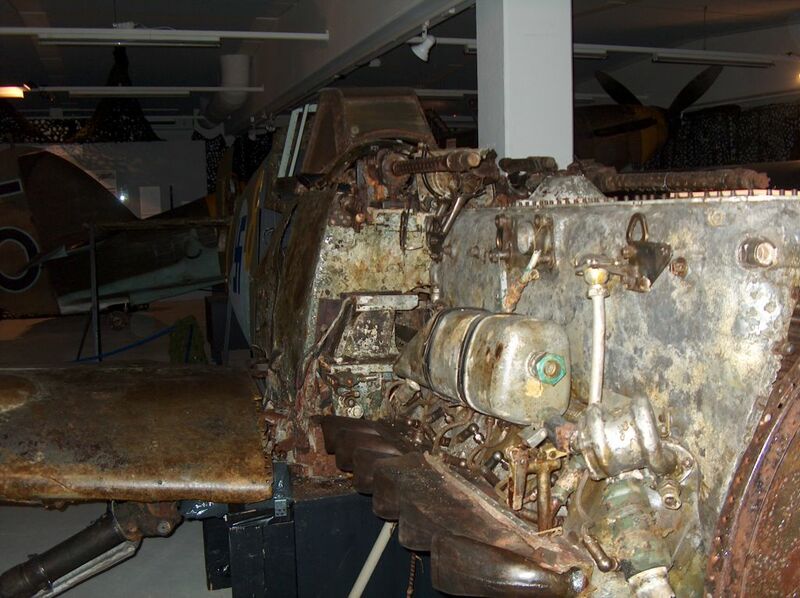 The stick pointing upwards is the other fuselage 7,92mm machinegun. Rescue staff taking a good look at their loot. 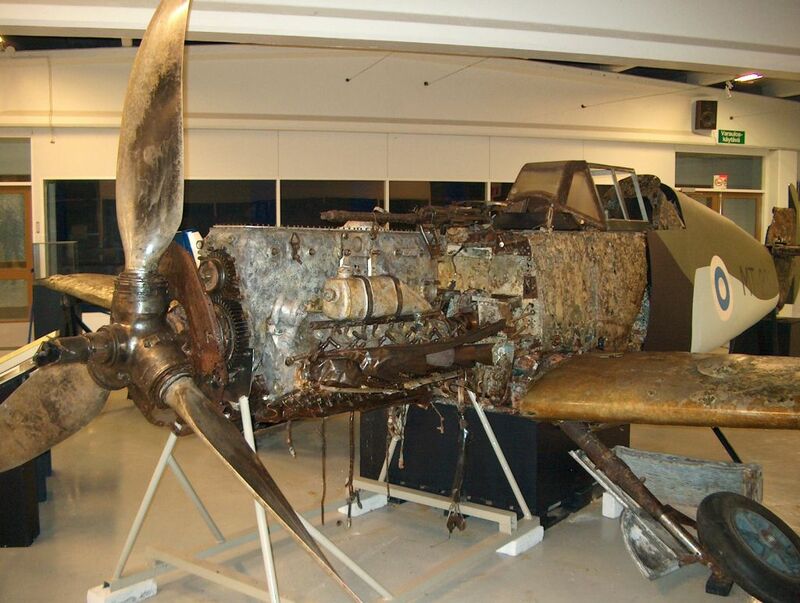 And the plane is now beginning its journey to restoration. 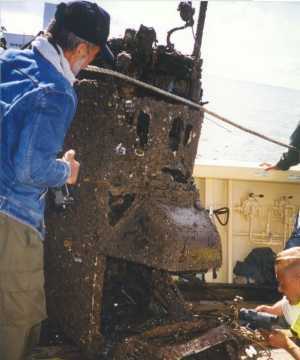 Port wing, cockpit section and starboard undercarriage of MT-208 shortly after recovery. The other wing in fresh water pool. The aircraft spent time in a undisclosed location waiting for the corrosion process to end. Note the eastern front yellow marking in the bottom wingtip. It was painted over after the war but the years spent in sea bottom eroded the new paint. 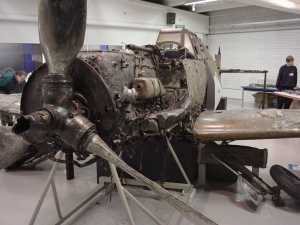 After the first round of restoration the aircraft was brought into museum workshop, waiting for further action. It was not yet shown to the general public. The front of untouched fuselage. 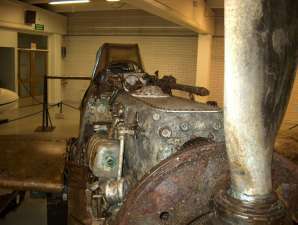 Engine is shown in the actual museum area. You see here the other MG 17 machinegun and the cockpit behind it. Photo by Jukka O. Kauppinen. The wings safely stored in the museum workshop. The original German black cross. 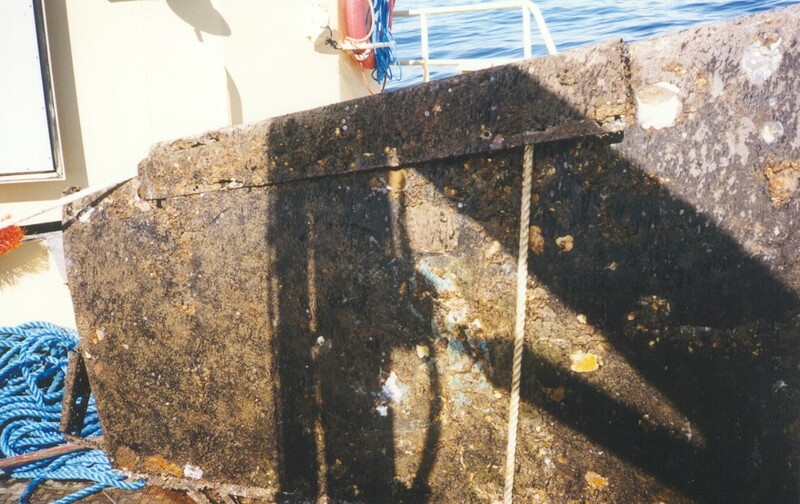 The decades in sea eroded top paint layers. Notice how shiny and healthy the wing looks. 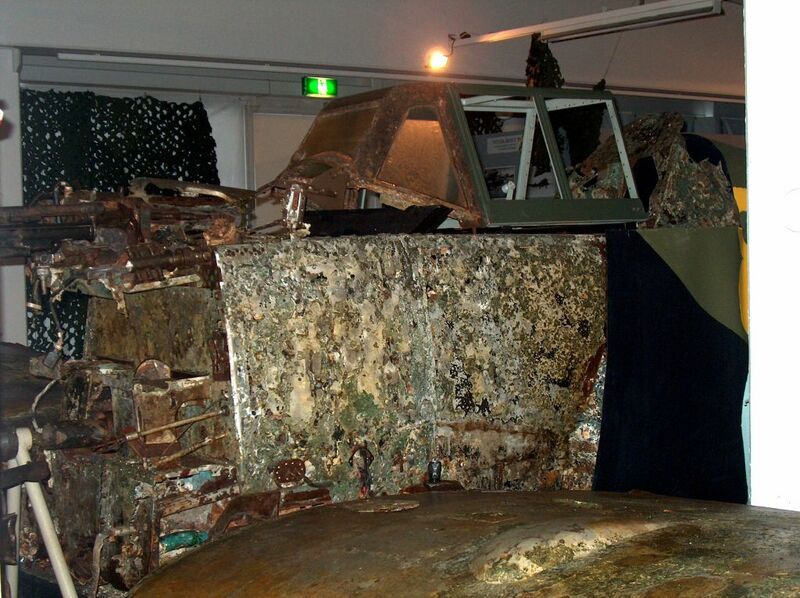 You can also see some of the original factory painted brown desert camouflage. The German crosses were used during the ferry flight and painted over in Finland. Another shot of the wing. 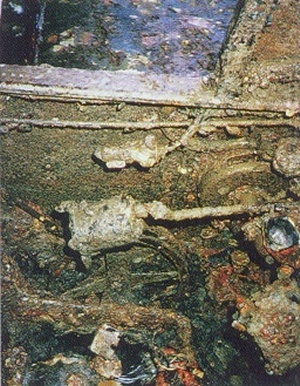 You can see the German cross in the middle. The Finnish national marking, Von Rosen's Cross, has suffered more. But you can still recognize its shape when you look closely and imagine it. 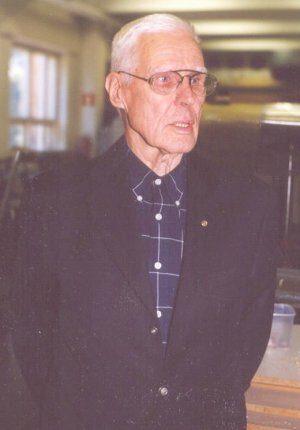 The pilot of MT-208's last flight, colonel Väinö Pokela. Mr. Pokela told some very interesting stories about the last flight of MT-208 and his experiences in Germany, when ferrying the fighters to Finland. 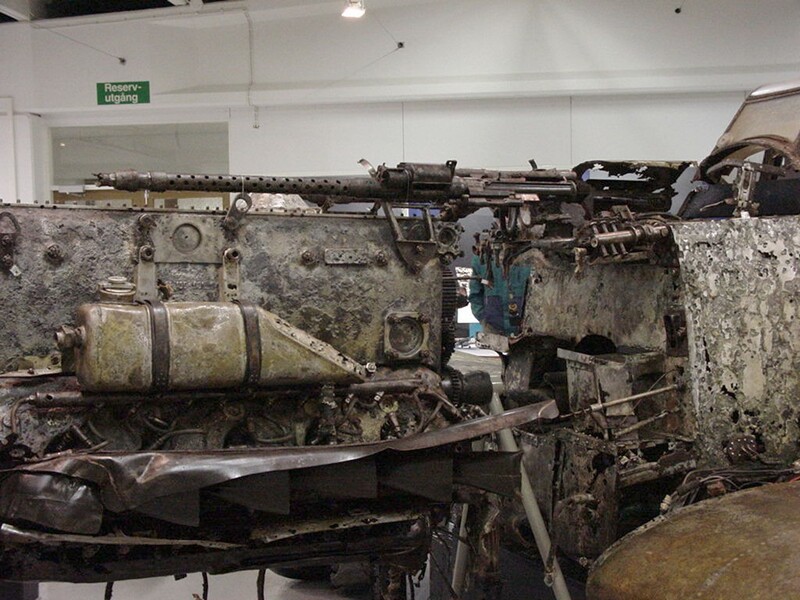 Daimler Benz 605 engine, starboard undercarriage and other parts as shown in the museum. Starboard undercarriage, nose mounted MG151/20 cannon and the bulletproof windscreen with the round de-iceing device and gasoline spray tubes intact. That is really a small hole the pilots see ahead! And some thick glass it is. 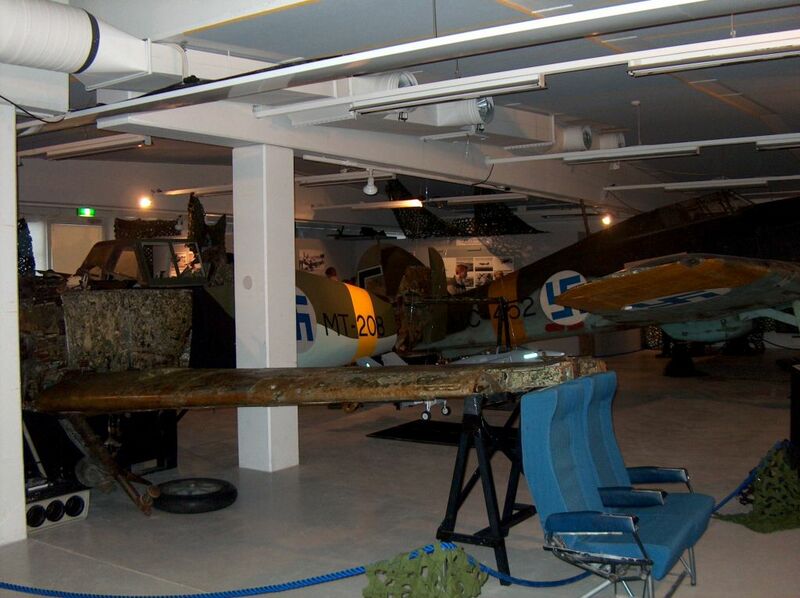 The Finnish Air Force museum has a special exhibition called "Warplanes" between 1 Feb - 31 Dec 2001. 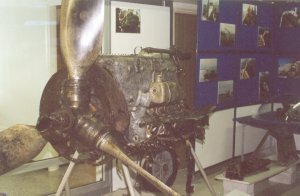 Star of the exhibition is of course MT-208. Please see the exhibition web page for more information and a great panorama display. Photos below taken by Jukka O. Kauppinen. Colonel Pokela with his old bird. 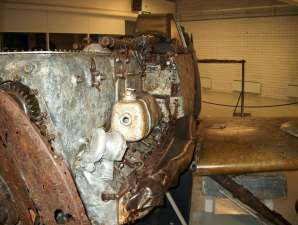 Closeup of the engine, right side. 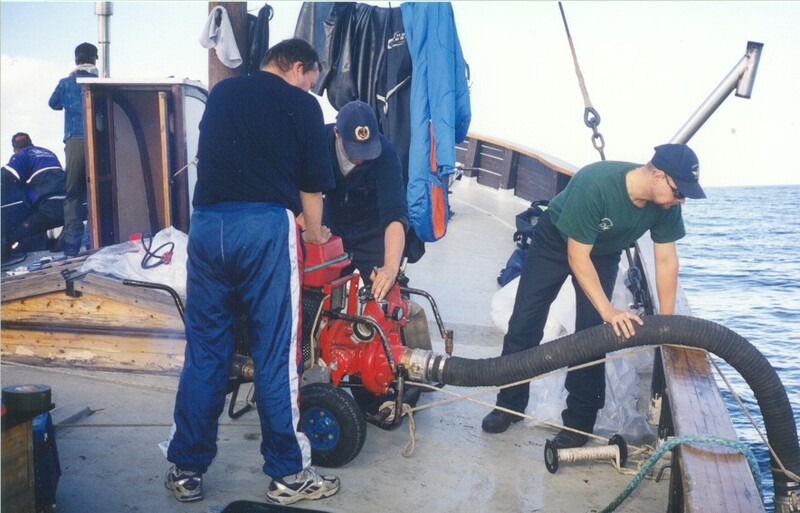 The rescue operation was achieved by the members and volunteers from Suomen Ilmailumuseo with the help of Porin Urheilusukeltajat ship Octopus, West Coast Diving Centre's base ship Aldebaran with volunteer crew and volunteers from Porin VPK. Lifting operations were done using Merenkulkulaitos's ship. Ground transfers were handled by Lilbacka Ltd., who brought the MT-208 items to Hyvinkää and to the Aviation Museum. 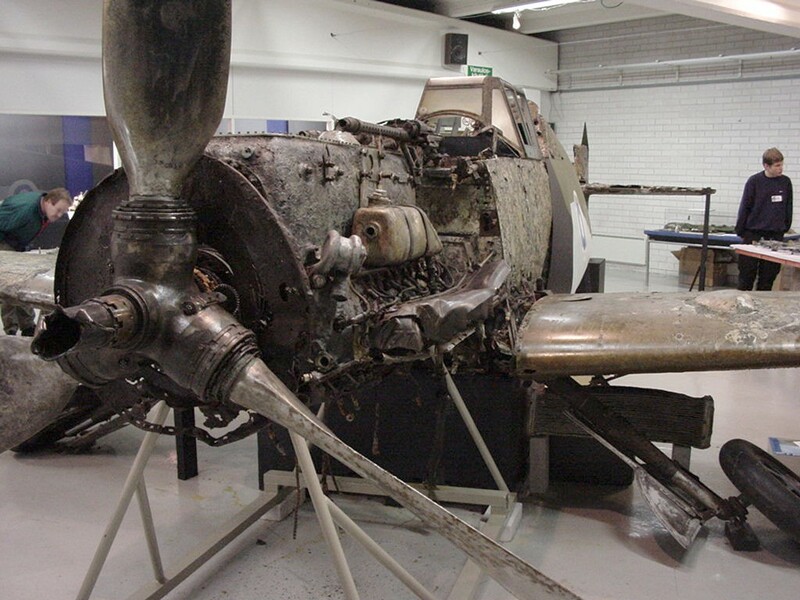 MT-208 is now safely part of the Finnish Aviation Museum's Warplanes Exhibition. It is shown there to interested public, and we're waiting for further news about the museum's plans. I hope this is of interest. 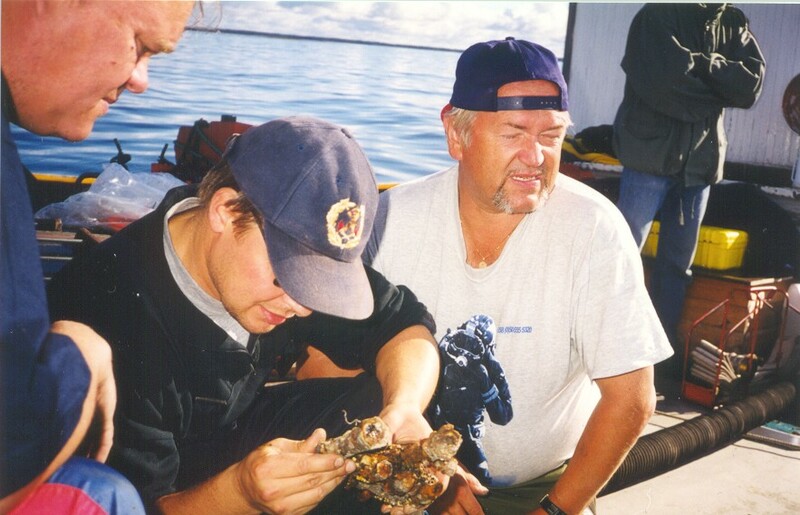 Thank you Kyösti Partonen and Suomen Ilmailumuseo for Your permission and the great achievement! Here MT-208 pictures in its 2003-2004 configuration. Notice that the post war FiAF roundel has been changed to the correst Finnish Von Rosen cross. 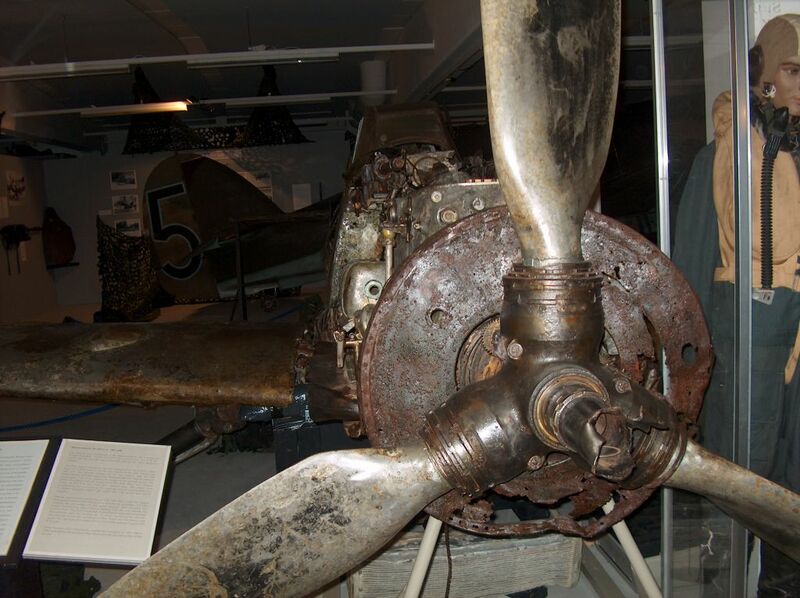 At couple photos you can compare the MT-208 to Hurricane HC-452, which is/was displayed next to the Messerschmitt. Photos by Jukka O. Kauppinen.